Last year, NASA's Curiosity Rover confirmed something discovered by multiple previous Martian landers: the surface of the red planet is full of reactive chlorinated hydrocarbons known as perchlorates. 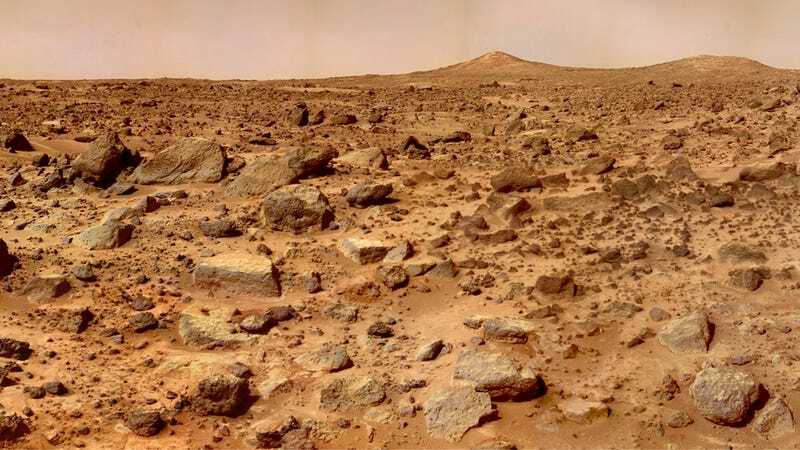 That's great news for the search for life on Mars, but it could be a disaster for any new life hoping to travel there. "Perchlorate is not a common word in the English language; all of us had to go and look it up. Perchlorate has become an important component of the soil … and half a percent is a fair amount... Anybody who is saying they want to go live on the surface of Mars better think about the interaction of perchlorate with the human body. At one-half percent, that's a huge amount. Very small amounts are considered toxic. So you'd better have a plan to deal with the poisons on the surface. It'll get into everything… certainly into your habitat." It's not all bad news — some perchlorates are a component of rocket fuels, and they might even be used to obtain oxygen on the Martian surface. It's well worth checking out David's entire column, as he argues that this represents a real concern for future missions, but definitely not an insoluble problem. For more, head over to Space.com.